After I returned home from the theatre last night, I shared my move review for The Way Way Back. But I wasn’t quite ready to talk about the pre-show. And then insanity broke out. Everyone rushed for the exits. AMC employees stood by, wide-eyed and searching. Someone pulled the fire alarm. I remember hesitating for an instance thinking, “Is this real?” and then not waiting to find out. 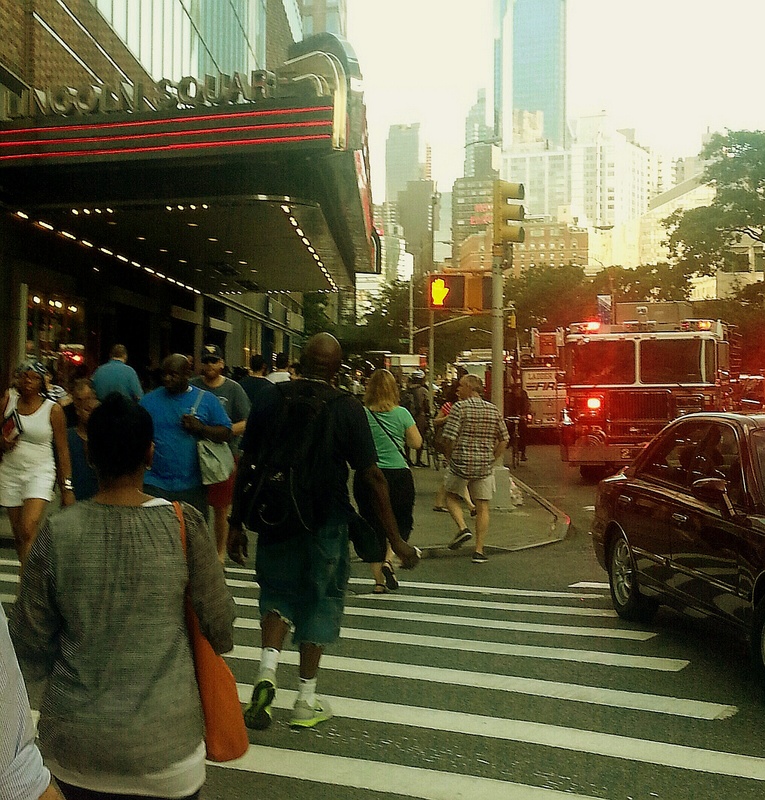 We all stood on the sidewalk — across from the theatre at the instruction of AMC employees who now had their orders. Within seconds five fire trucks — five — surrounded the building. And within minutes, it was over…and we were walking back inside. Turns out two men got into an argument in one of the cinemas, and one pulled out pepper spray. Someone standing close by panicked at the sight and smell of it. And that’s all it took. With movie trailers that are so long, I didn’t miss a single frame of the film. This entry was posted in Commentary, Entertainment, Humor, Life, Movies, News and tagged AMC theatres, bomb scare, commentary, crowded movie theatre, entertainment, fire alarm, fire trucks, Humor, life, movie concessions, movie exits, movie theatre, Movies, news, panic, pepper spray, pre-show, The Way Way Back, yelling fire in a theatre. Bookmark the permalink.